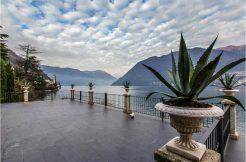 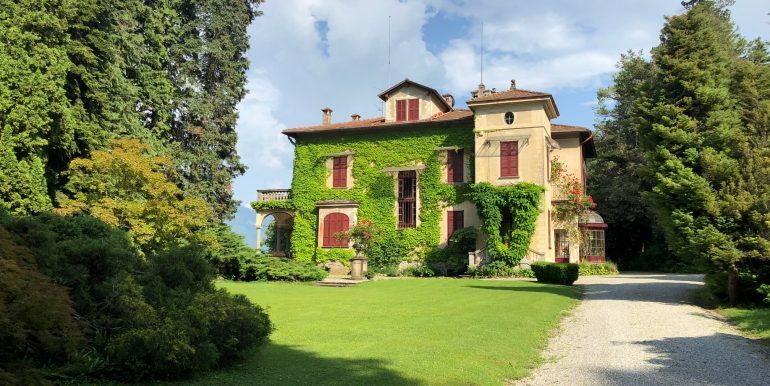 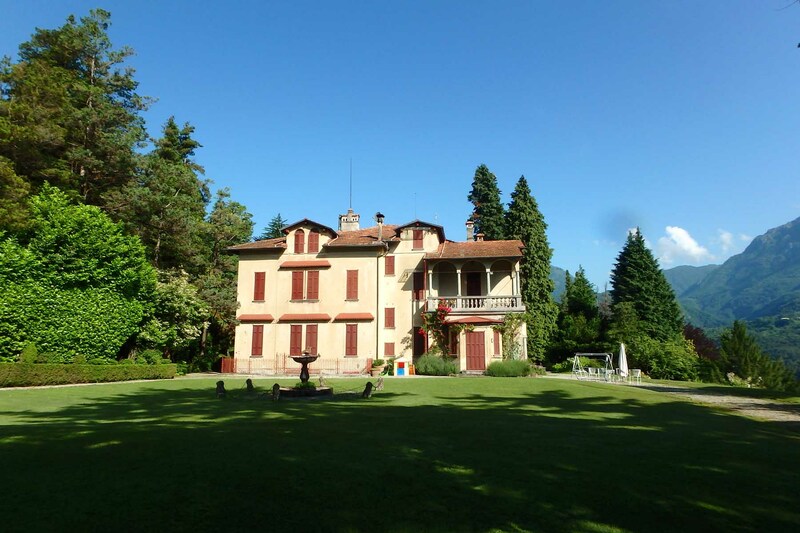 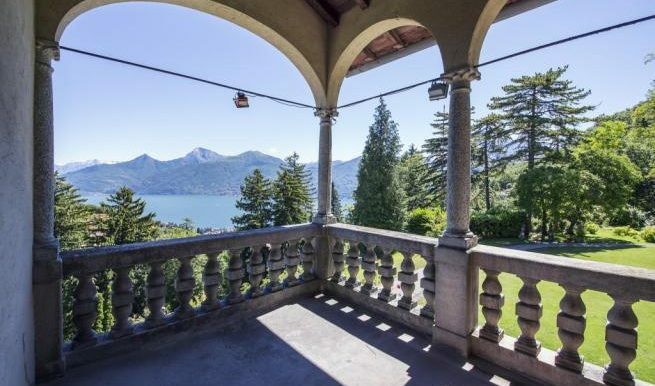 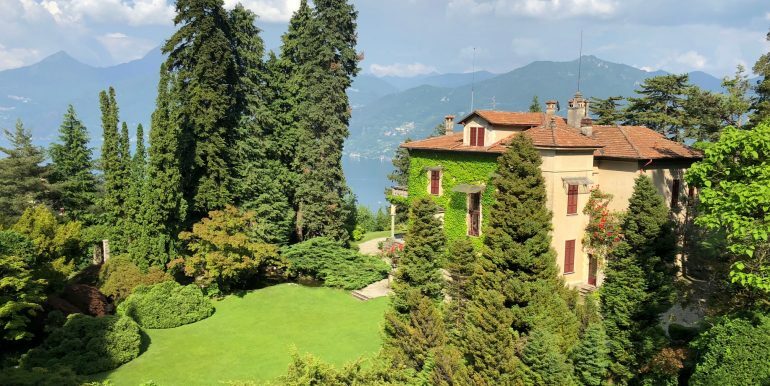 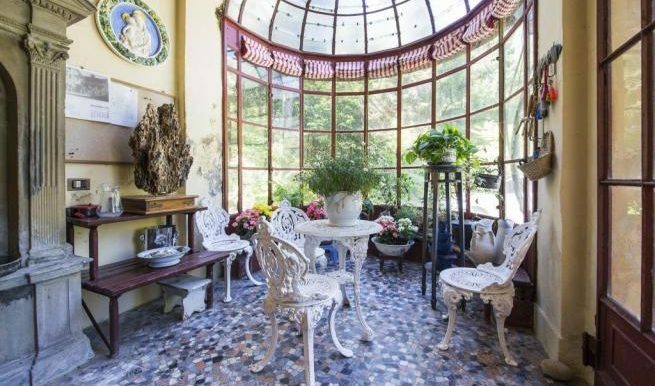 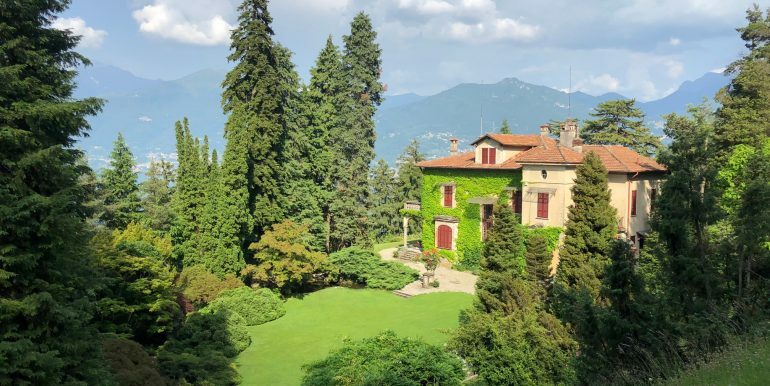 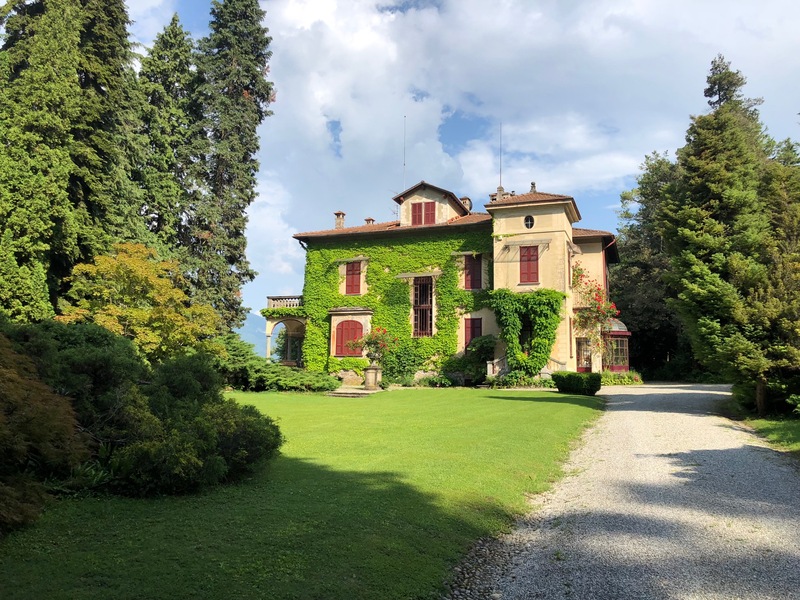 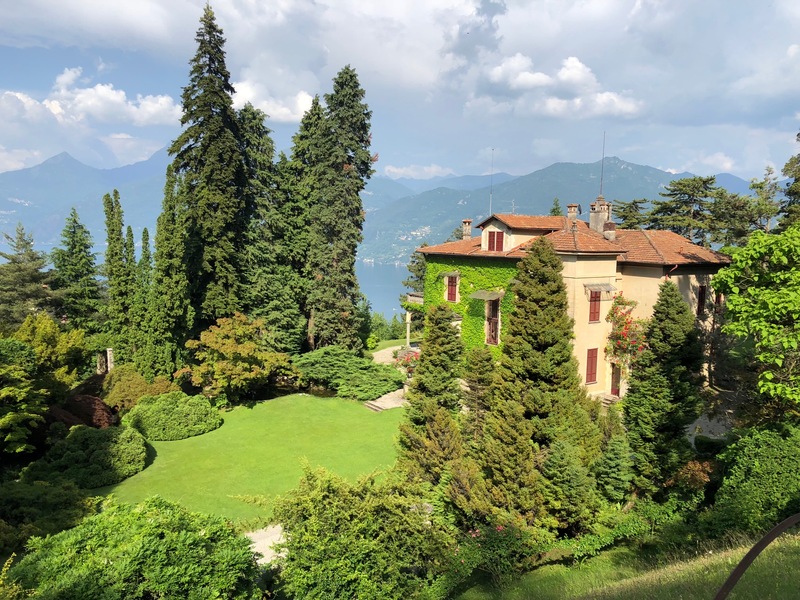 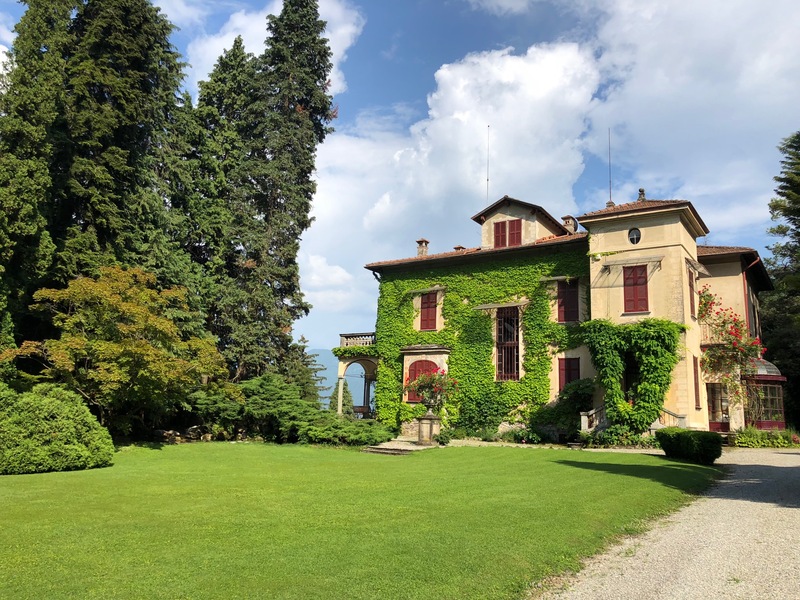 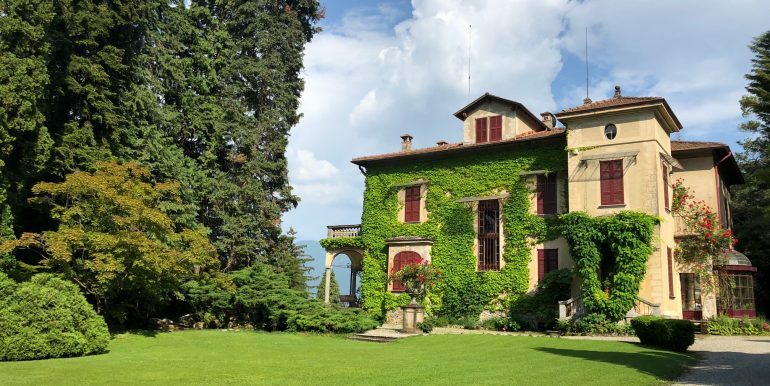 Villa Lugarna is a magnificent property located in Menaggio, built in 1910 by architect Giacomo Mantegazza and commissioned by Alfred Wyatt, a wealthy English merchant who fell in love with Lake Como, in particular with Menaggio. 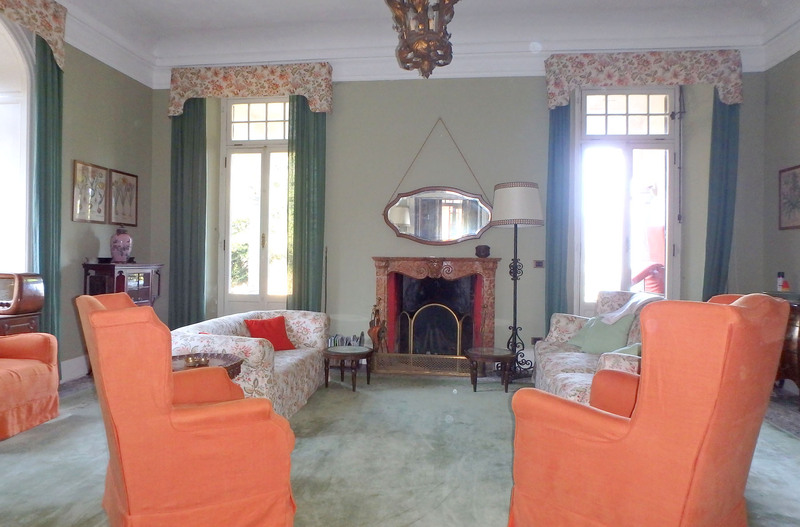 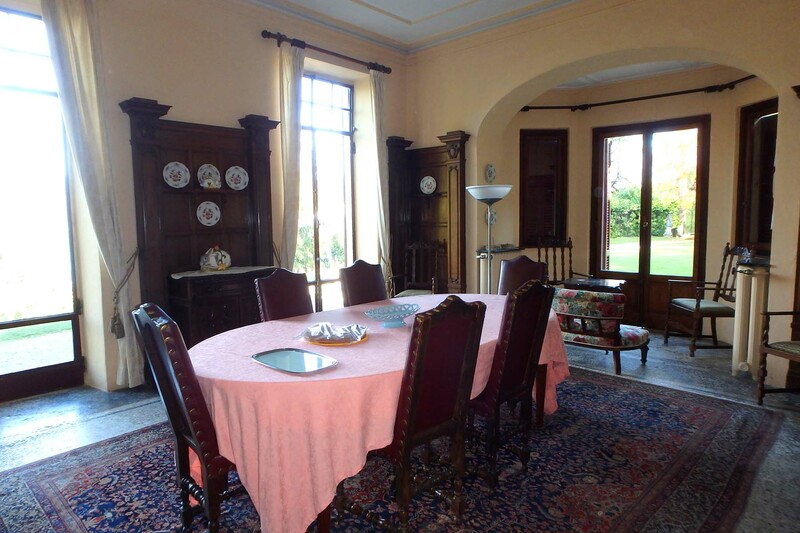 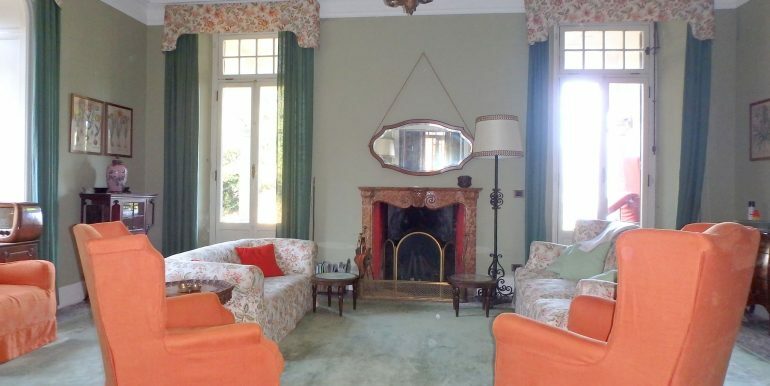 The property has, since its construction, a mark of British style as regards both to the structure of the house and the inside, perfectly preserved to this day. 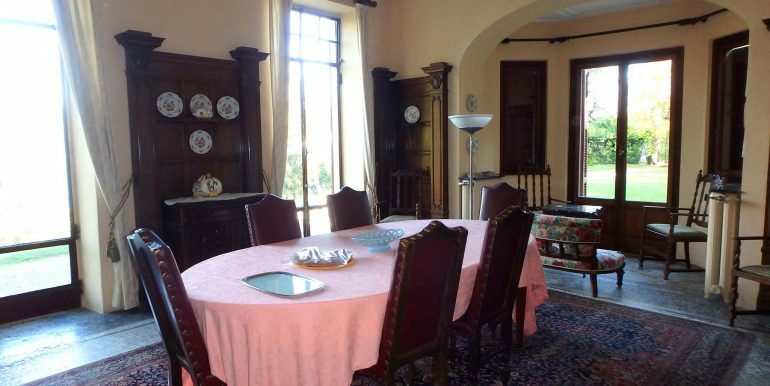 The villa features an area of about 800 square meters, further expandable, and spreads out over three floors plus a basement: On the ground floor there is a beautiful entrance hall with a billiard, living room with stone fireplace, dining room, veranda, kitchen, recreation room, guest bathroom and laundry. 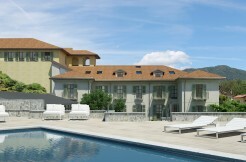 On the first floor, 3 double suites with their terraces and bathrooms, as well as a double twin room; on the second floor, two double bedrooms with a bathroom. 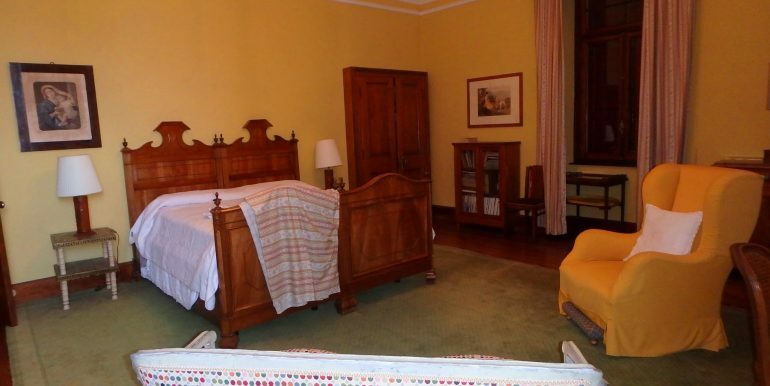 All bedrooms have a beautiful lake view. 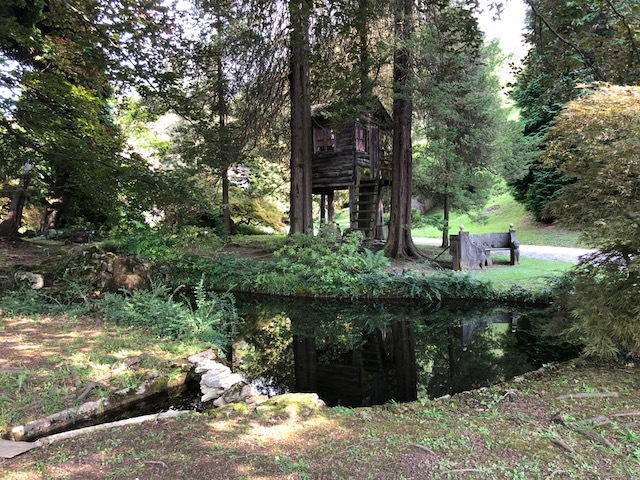 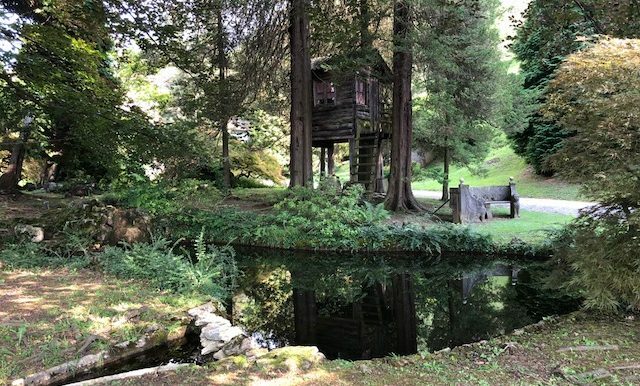 The property is surrounded by a well-kept English garden of approximately 2.5 hectares, in perfect conditions: Experienced landscapers and gardeners, coming from especially England, have worked for the creation of water features such as ponds and waterfalls that still exist today, fed by natural springs and embellishing the whole property. 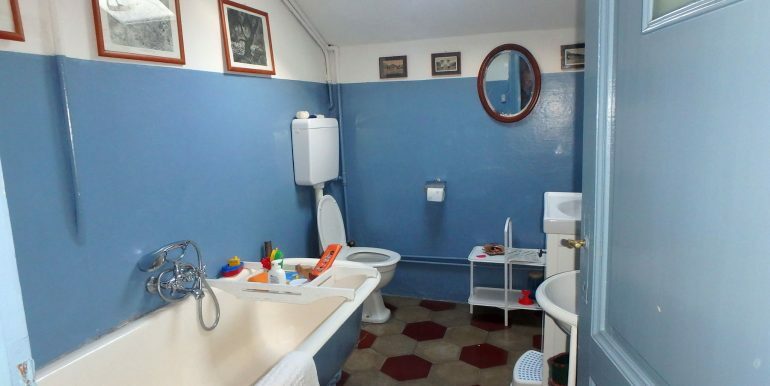 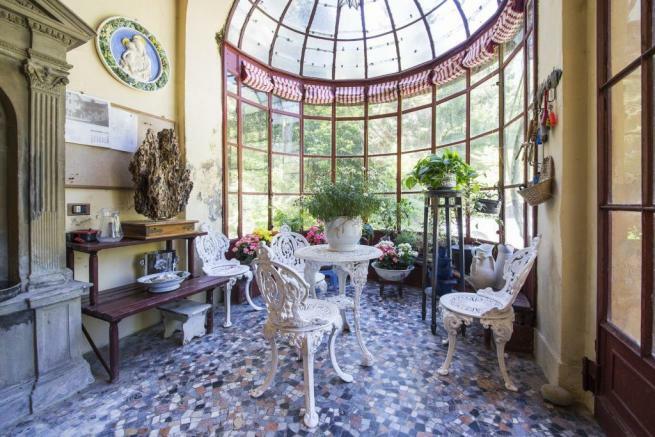 A cottage for the caretaker, a large garage for 6 cars, an apartment of about 75 sqm, a greenhouse, a shed for tools and other small houses complete the property. 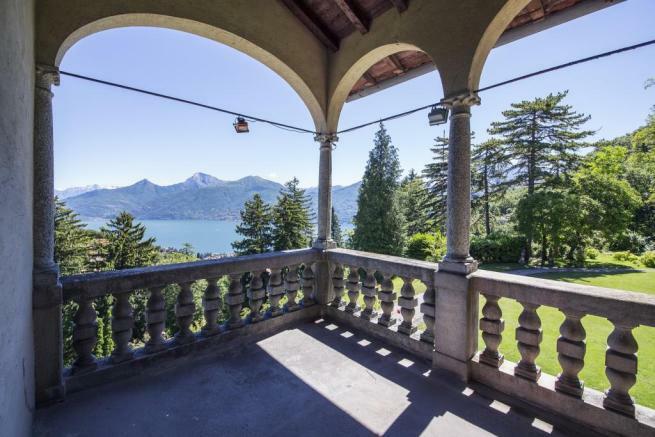 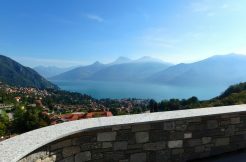 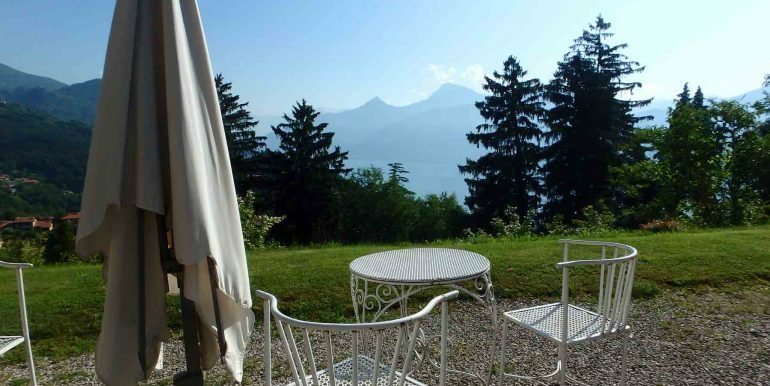 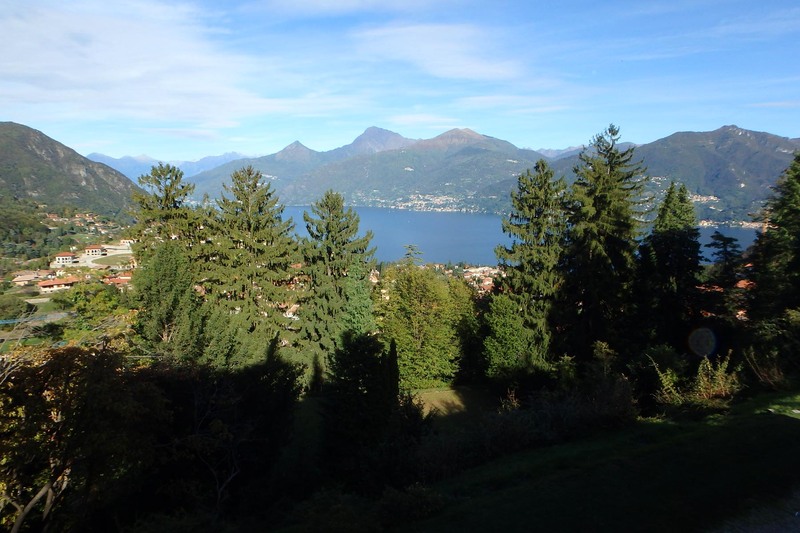 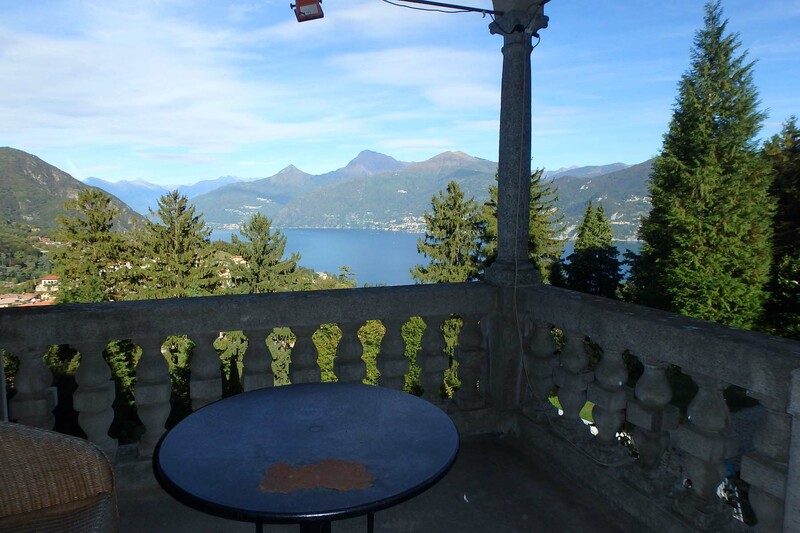 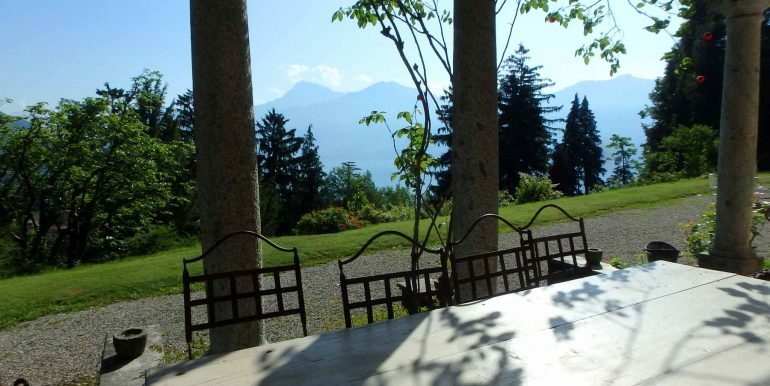 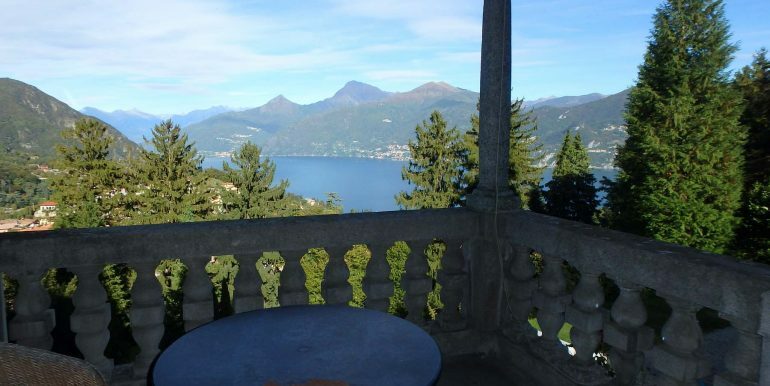 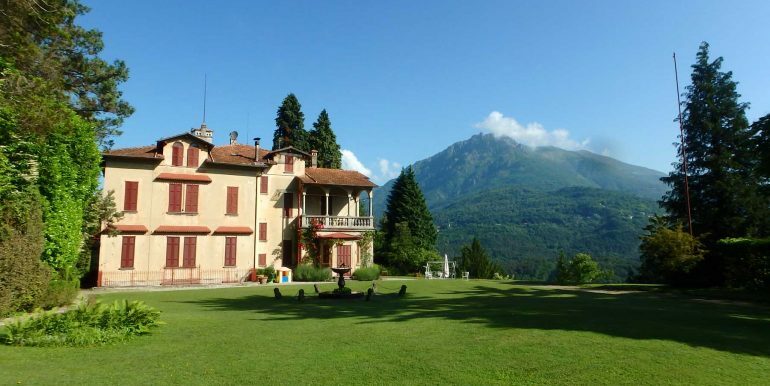 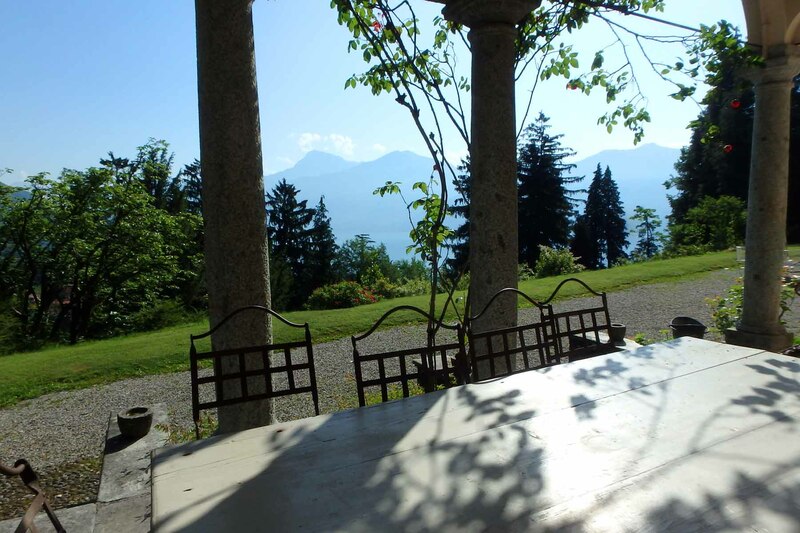 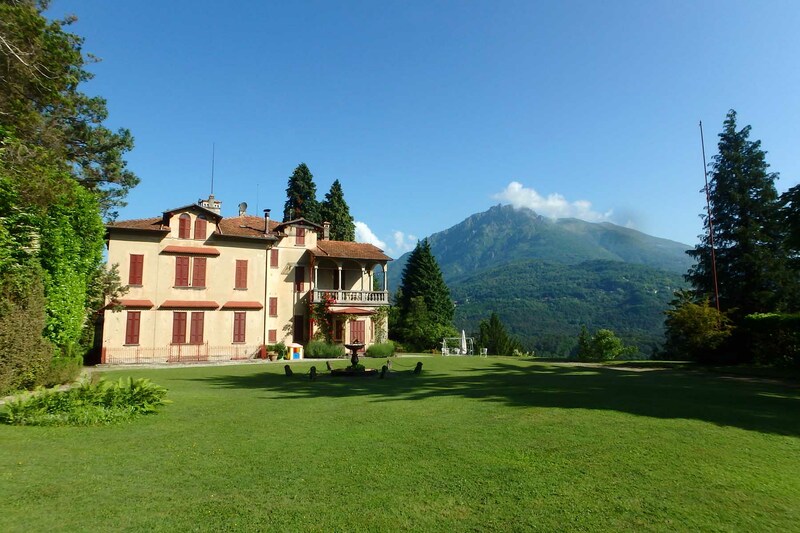 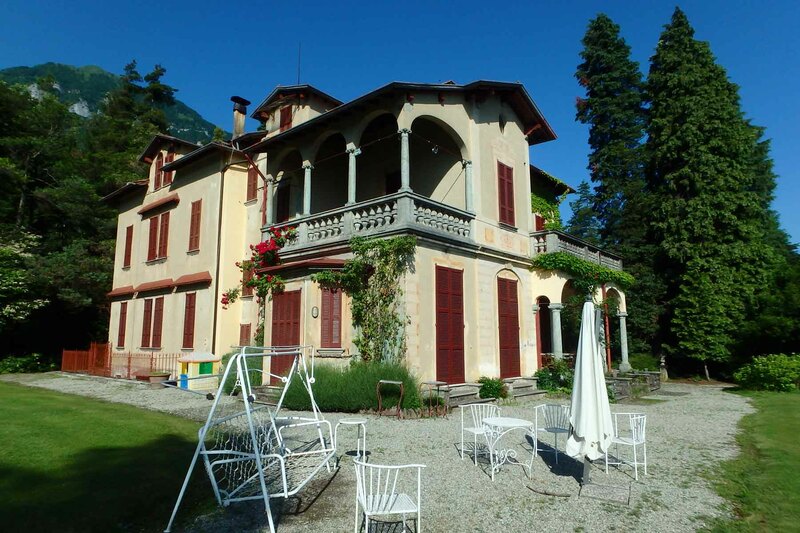 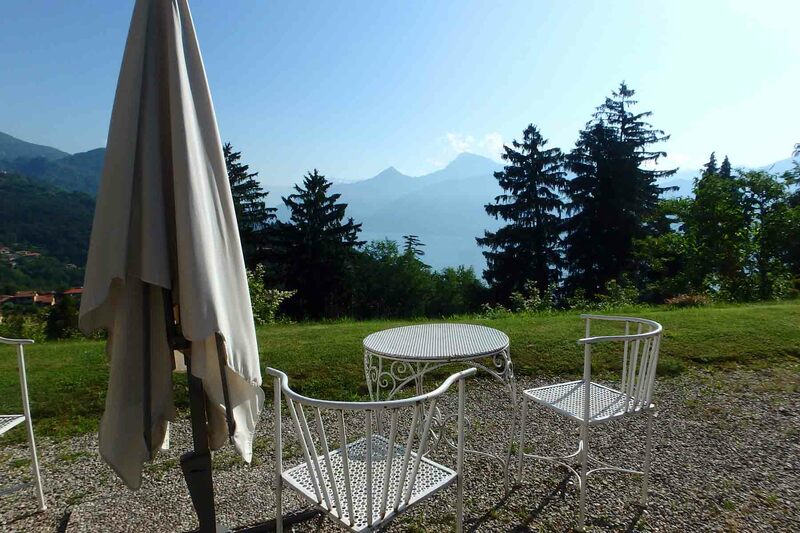 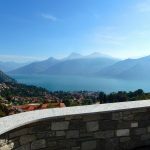 Villa Lugarna offers a stunning view of the lake and surrounding mountains, while guaranteeing optimal privacy thanks to its park. 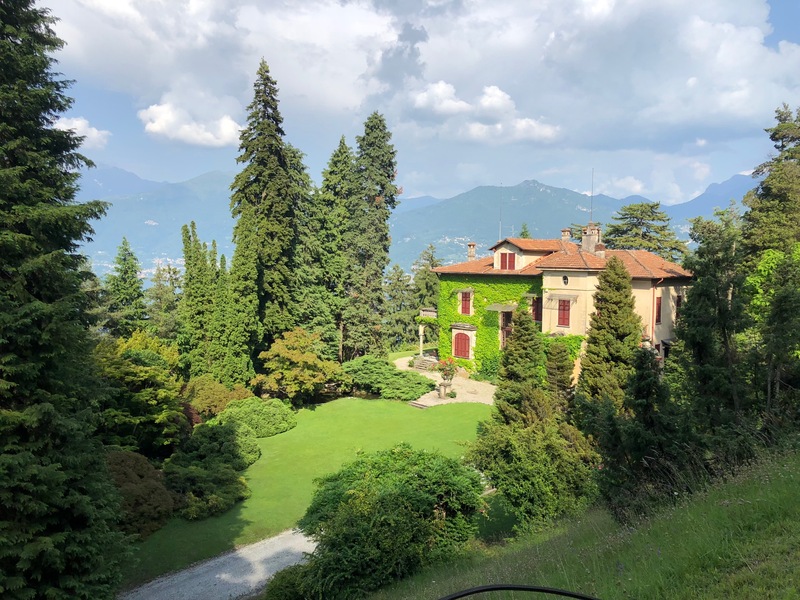 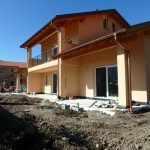 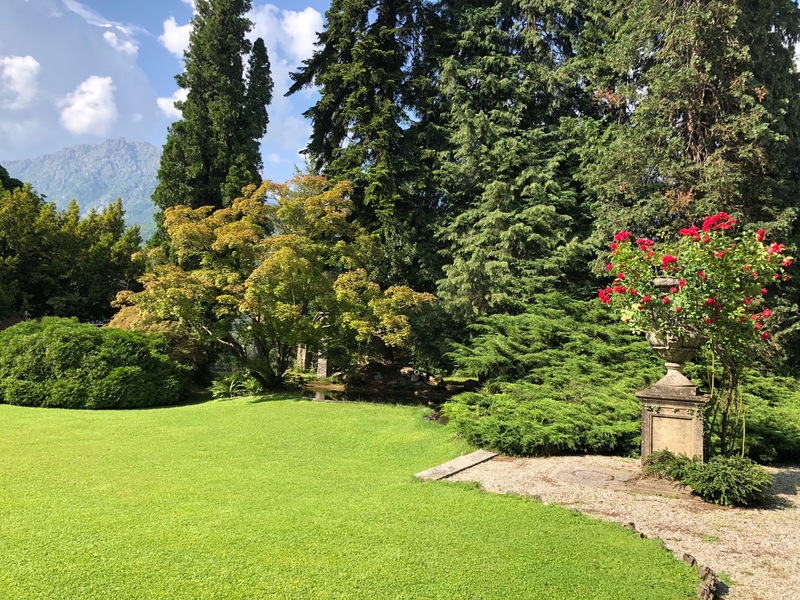 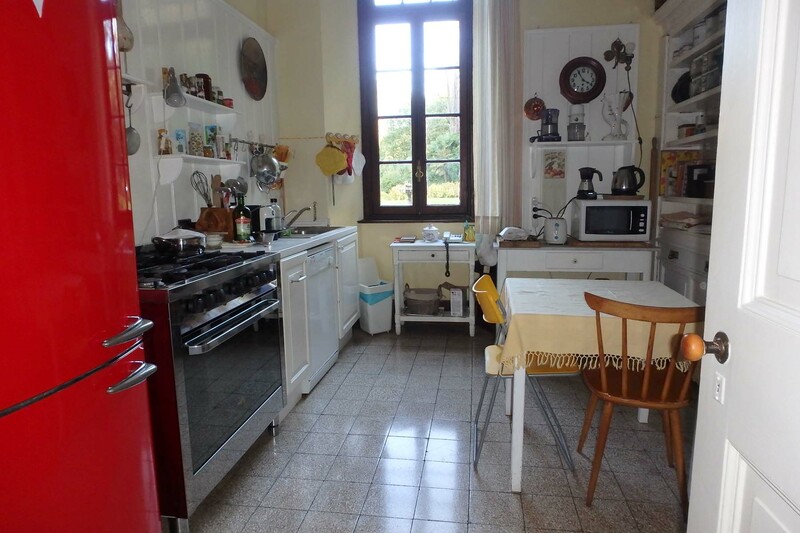 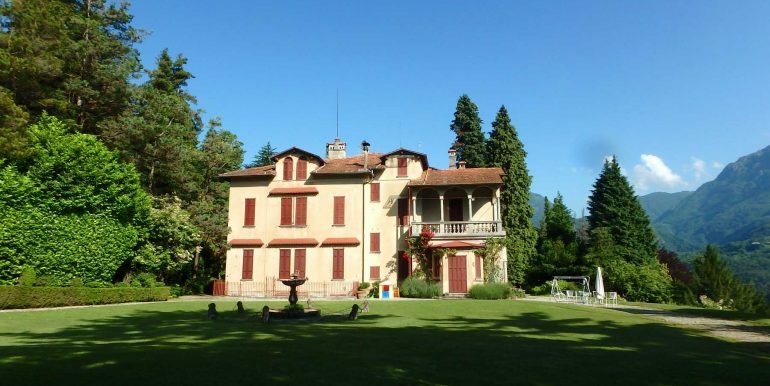 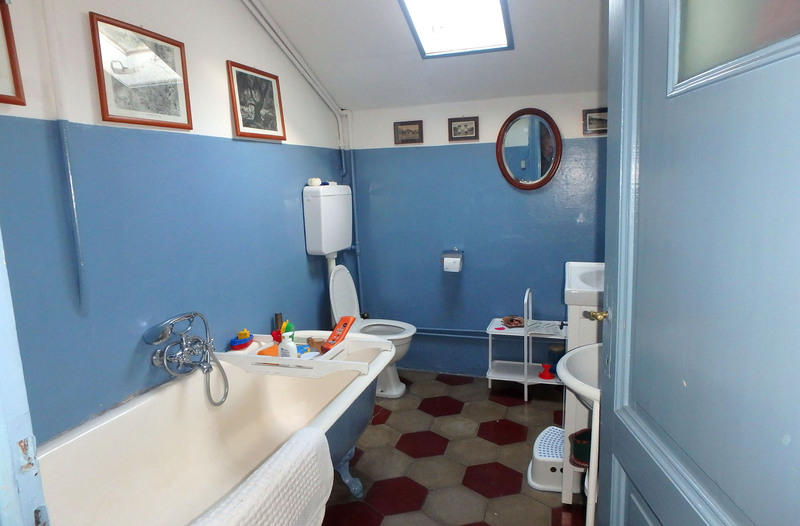 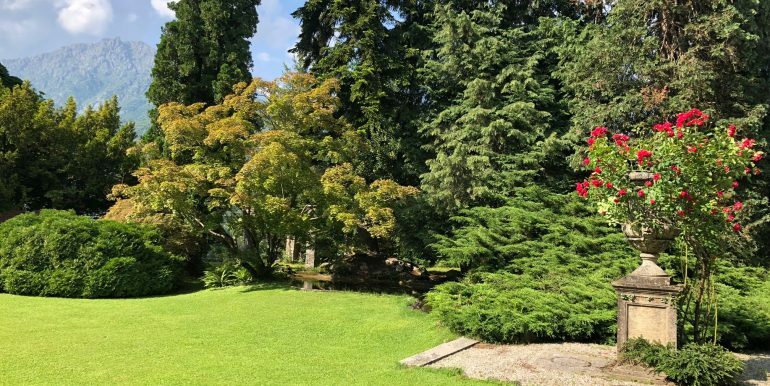 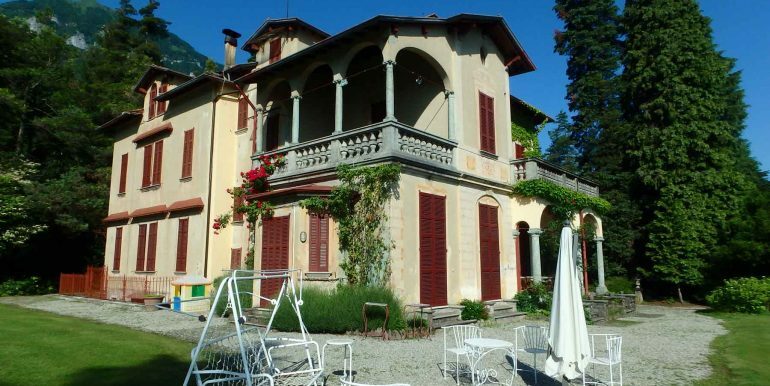 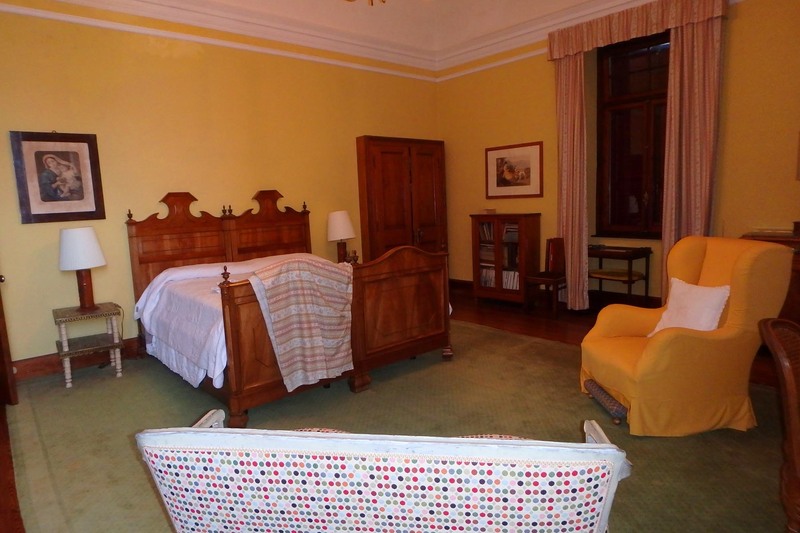 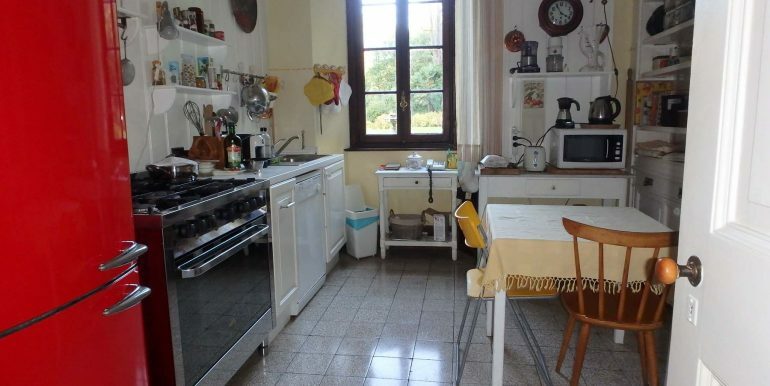 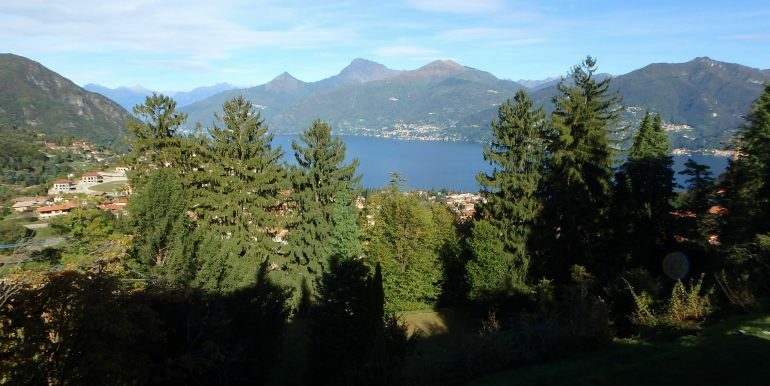 The property is within walking distance of the famous Menaggio and Cadenabbia Golf Club, and is close to major connections to the highways and airports: Malpensa is only 1 hour and 15 minutes away.